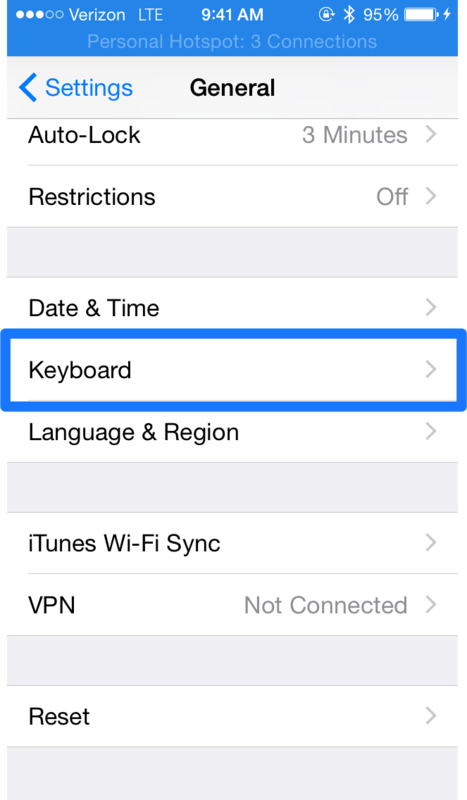 The onscreen keyboard is pretty amazing in iOS. As long as you let go, it does a really good job of autocorrecting your typing. It also learns the words you type and how you type them. I have a nephew named Keaton and I live in Kenton, and my iPhone always corrects then correctly. 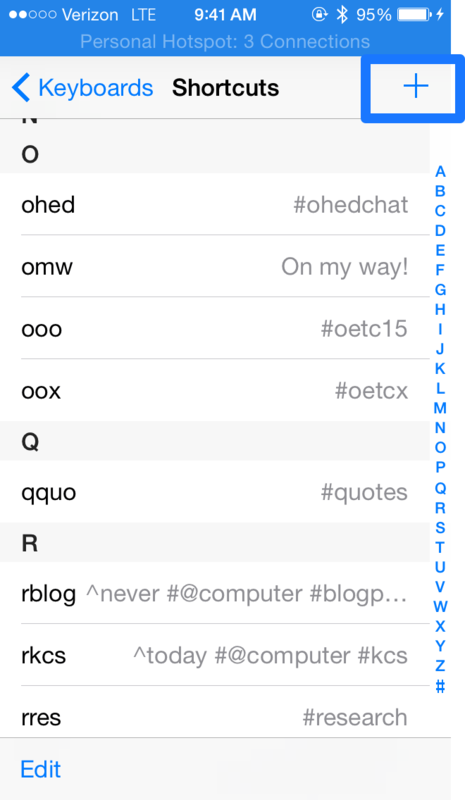 You can also tell iOS shortcuts that expand out to phrases. I use this mostly for email addresses and hashtags. When I type @e my iPhone automatically expands it to @eduk8.me. For hashtags I use an abbreviation, like ec which would expand to #edchat; double the first letter, qquo expands to #quotes; or triple letters, eee expands to #edcampcbus. 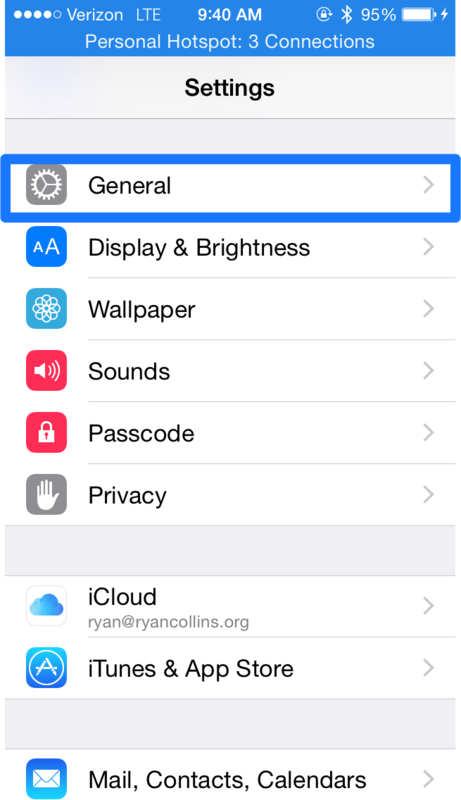 To add your own shortcut and phrase, open Settings. 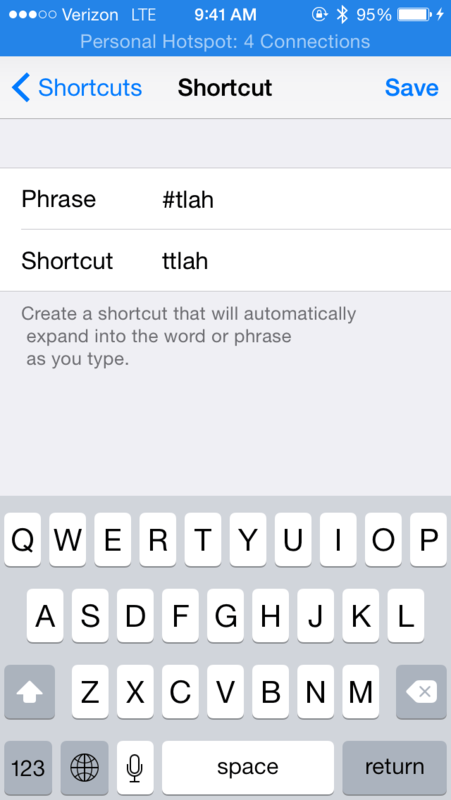 You should be seeing your current shortcuts. Click on the + in the upper right to add your own. 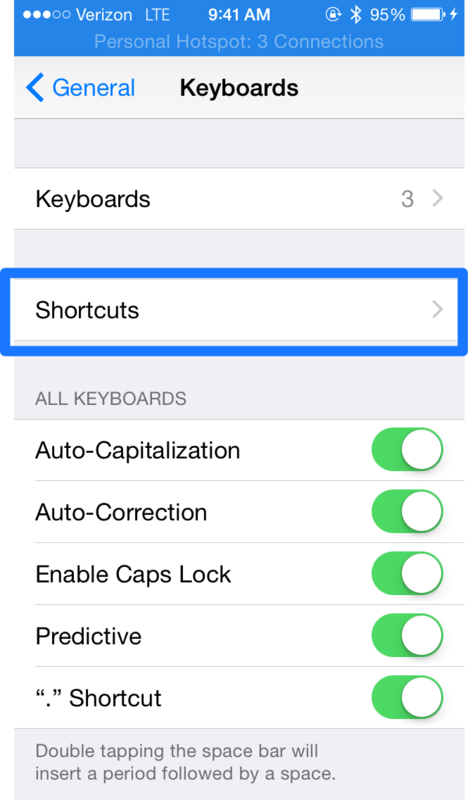 The shortcut will expand to the phrase, so in the phrase entry type what you want the shortcut to say. Then, create a shortcut for the phrase. One that you remember. 🙂 Tap save and you’re done. Do you have any shortcut tips?